Ask any survival horror fan and the first Resident Evil – be it the Saturn port, the slightly wonky Director’s Cut or even the fabulous GameCube crimson-headed re-polish – will be top of their list of genre-defining titles. Alongside Konami’s Silent Hill series and the Fatal Frame series (from Koei Tecmo), Resident Evil made its own mark on the more suspense-filled and creepy side of “adult gaming”, even if it has arguably digressed in its latter years towards action and fan service. It has also left a trail of easy references in its wake, be it the infamous door cut-scenes or the inexcusably bad voice acting. It will therefore delight die-hard fans to learn that the series has officially reached its 20th birthday: not quite old enough to drink in the US, but old enough to score a convincing fake ID. 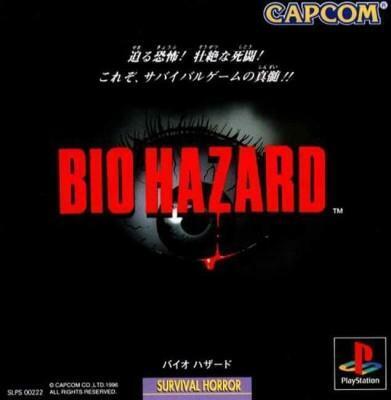 On the 22nd March 1996, the original release of Resident Evil was transmitted like the good ol’ T virus across Japan, contaminating the consciences of gamers worldwide intensively enough to prompt relatively quick releases of Resident Evil 2 and 3 (on 21st January 1998 and 22nd September 1999, respectively). To mark this monumental occasion, you will alas not see Nemesis in his favourite frilly party dress or Ada Wong seductively blowing out birthday candles; instead, Capcom has unlocked a treasure chest of behind-the-scenes goodies for fans to pore over. The first video (and those to come) will give admirers of the series a glimpse of what made the creators tick, and of how such a monumental and industry-shaping series could lurch into existence. It promises to be an interesting dive into gaming history as well as into the backstory of Resident Evil, which has by now spread well beyond the realm of videogames, mutating into films, books and other merchandise. It is worth remembering that Resident Evil came out well before Silent Hill – a constant nemesis – arrived onto the scene, and its canon generated critical acclaim over a much longer period than Silent Hill‘s did (Silent Hill 4 being met with some criticism, while the Resident Evil‘s main series, dodgy ports aside, remained largely lauded until Resident Evil 5). It is therefore arguably the ultimate series to scrutinize if you wish to learn about the development of the horror genre in gaming; don’t miss out on this intriguing insight into what could possibly be one of gaming’s greatest franchises. The series has also been host of its fair share of questionable box art. Capcom has also promised other treats throughout the year of Resident Evil‘s twentieth anniversary, so keep your eyes peeled for further news. With a remake of the universally-acclaimed Resident Evil 2 on the horizon, don’t stow away your herbs and your typewriter ribbons just yet.